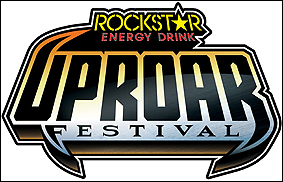 LOS ANGELES (CelebrityAccess MediaWire) — Returning for the fourth time, the Rockstar Energy Drink UPROAR Festival is set to hit the road for a tour across North America this fall. Produced by Live Nation, the festival starts its outing on August 9th at Toyota Pavilion at Montage Mountain in Scranton and runs for 21 additional dates before winding up in Irvine California at the Verizon Wireless Amphitheater on Sept. 14th. Billed as a rock music and "lifestyle" festival, the festival will feature a lineup of established artists on the main stage and up-and-coming bands on the Ernie Ball Festival stage. An announcment regarding the lineup for the festival is expected on April 22nd.